With a wide variety of brands in our inventory, you can explore a vast selection of cars, trucks, vans and SUVs at Baxter Chrysler Dodge Jeep Ram Lincoln. Our Dodge and Jeep dealership in Lincoln, NE, is open six days a week with convenient evening hours on weekdays to accommodate your work schedule. 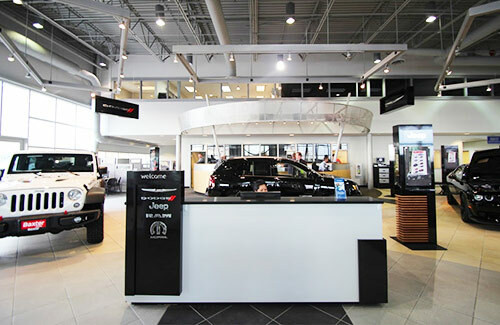 Whether you're looking to buy a new or used Chrysler or receive scheduled maintenance on your existing Ram or Jeep, our expert sales and service teams can't wait to assist you. Our Lincoln, NE, dealership is a proud part of the Baxter Auto family and has served the community for over 60 years. Come see what makes Baxter Auto one of the largest dealer groups in Nebraska! Most members of the Baxter team live within our Lincoln community, so we treat our customers like neighbors -- because they are! 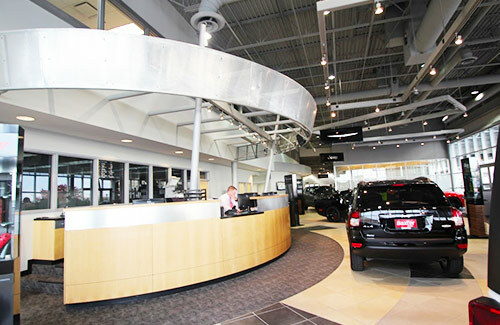 You'll get the friendly service you deserve at Baxter Chrysler Dodge Jeep Ram Lincoln, so visit us today and experience the Baxter difference. Our full-service Lincoln dealership has one of the largest selection of quality new vehicles, as well as used and certified pre-owned models. We also offer great new Jeep specials to help you save big on a new vehicle. If you ever need new Mopar parts for your Dodge or Ram, place an order now. And if we don't have a certain part in stock, we'll make sure it gets delivered to our dealership right away to get you back on the road faster. Looking for more reasons to buy from Baxter Chrysler Dodge Jeep Ram Lincoln? Baxter would not be what it is today without the continued support of its loyal customers, employees and the local community. Baxter has always been a family-owned and locally-operated business, so we value any opportunity to give back to our community. At Baxter, our community involvement allows us to step out and support our neighbors. We support many local organizations and events. Baxter is a proud partner with the Avenue Scholars Foundation, an Omaha-area program that helps prepare students for high-skill/high-demand careers. We love hearing customer feedback, and our glowing reviews back up our amazing reputation for quality customer service. Our dealership has roots that extend back to our founder, Johnny Baxter, who instituted the Baxter brand in 1957. More than 60 years later, and we strive to continue his legacy and devotion to treating customers like family and treating our Nebraska community like home. We can't wait to serve you at Baxter Chrysler Dodge Jeep Ram Lincoln. If you're a returning customer, we can't wait to continue building our relationship with you over the years. And for new customers, we're so excited for you to join the Baxter Auto family. We are conveniently located at 6601 Telluride Drive in Lincoln, NE. Visit us today!